Uganda Co-operative Alliance » 572 Receive Certificates and Diplomas in Cooperatives & Business Administration. On Friday 23rd November 2018, Uganda Cooperative College Kigumba held its 24th graduation ceremony where 572 students received certificates and Diplomas in Cooperative and Business Administration. 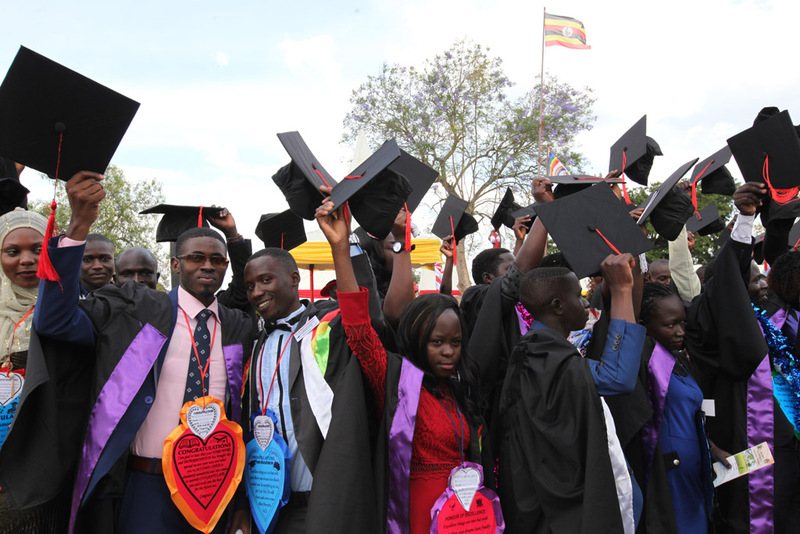 The Principle Mr. Samuel Kyaligonza congratulated the graduands upon successfully receiving academic awards which they have tirelessly worked for over a period of their studies. He told the graduands to use the skills they have acquired from the college be beneficial to the society as you make use of the Cooperative Principles, Practice, and Values. The principal welcomed a delegation from the Cooperative University of Kenya, He said: “The gracing of this graduation ceremony by three delegations from the Cooperative University of Kenya led by Prof. Isaac Nyamongo, is a testimony that the college is reviving its collaboration and partnership in East African Community”. 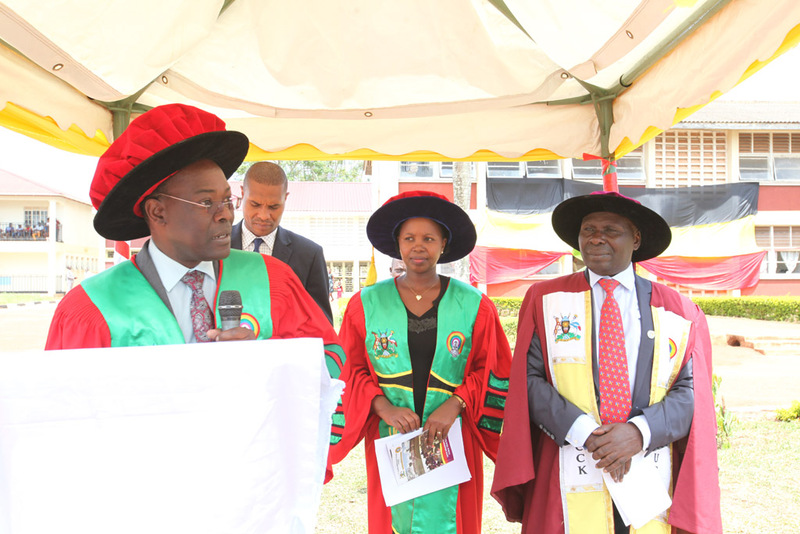 Pro Isaac K Nyamongo Ph.D. – Deputy Vice-Chancellor from the Cooperative University of Kenya, was delighted to have been part of the graduation he spoke of a possibility of collaboration in areas of research, knowledge student and faculty exchange programs to explore opportunities for collaboration. He encouraged the graduands to apply for a degree in cooperatives at the Cooperative University Kenya. Speaking at the ceremony The Chairman Mr. Kabuubi Joseph urged Uganda Cooperative Alliance together with the Ministry trade industry and cooperative development to advocate for a policy guideline to compel the leaders and managers of cooperative organizations undertake Cooperative Education and training. He said “It’s time to prioritize cooperative education and training to ensure that the new leaders and managers are equipped with knowledge and skills to grow these cooperatives into sustainable entities. Uganda Cooperative college Kigumba has given birth to the second college at TORORO, to cater for Cooperatives in the Eastern Region of the country. Finally, the excited graduands made a declaration of allegiance to serve as cooperators and also promote cooperative principles. Uganda Cooperative college Kigumba is a tertiary institution offering Cooperative development and management in the western region. It started in Nsamizi in 1954, then later transferred to Bukalasa in 1963 and moved to the present campus Kigumba.